Given that this was just the Washington Capitals’ second game in as many weeks due to the recent D.C. blizzard and All-Star break — never mind that the team was missing two key offensive cogs in Alex Ovechkin and Marcus Johansson — a flat showing Tuesday from the very shorthanded Caps against Florida could have been understandable. Alex Ovechkin scored in regulation, tying Sergei Fedorov at the top Russian-born NHL scorer of all-time, and netted the eventual winner in the shootout and the Washington Capitals beat the Toronto Maple Leafs 3-2 at Verizon Center. With a 2-8-3 record this season and an overtime loss to Detroit the previous night, the Toronto Maple Leafs came to Verizon Center hungry for a win. With a snapped stick, bad bounces, and a less than stellar defense, the Capitals were handing them all the opportunities they could. The Maple Leafs struck first. Daniel Winnick was able to corral a bouncing puck in the neutral zone to go one-on-one against Dmitry Orlov and catch Holtby cheating by going top shelf to his glove side. The breakout followed a nifty passing sequence between Ovechkin and Kuznetsov that resulted in Ovechkin snapping his stick and retreating to the bench. With the Caps unable to move the puck through the neutral zone, Toronto took a 1-0 advantage into the first intermission for only the second time this year. Last week Karl Alzner and Justin Williams mentioned a lofty hope for the season; do not lose back-to-back games. A simple proposition, much more difficult to execute. 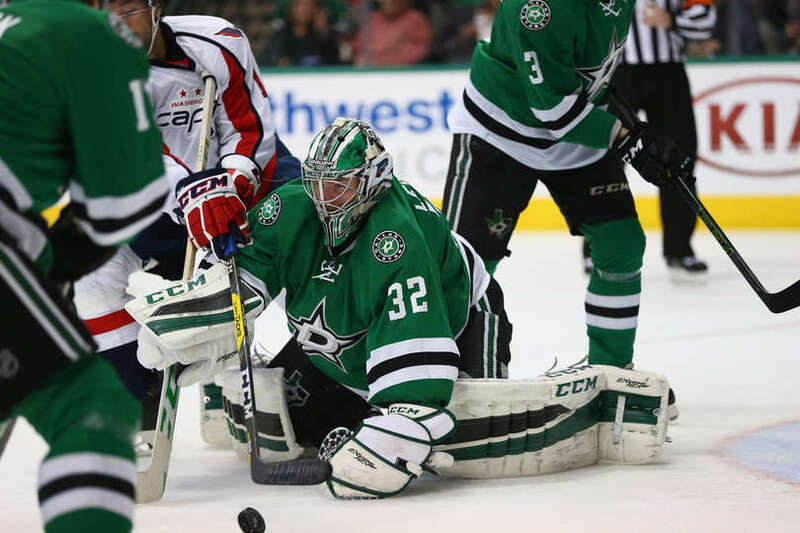 After an ugly loss to the New York Rangers on the road Tuesday, the Washington Capitals returned to Verizon Center looking to keep that hope alive. 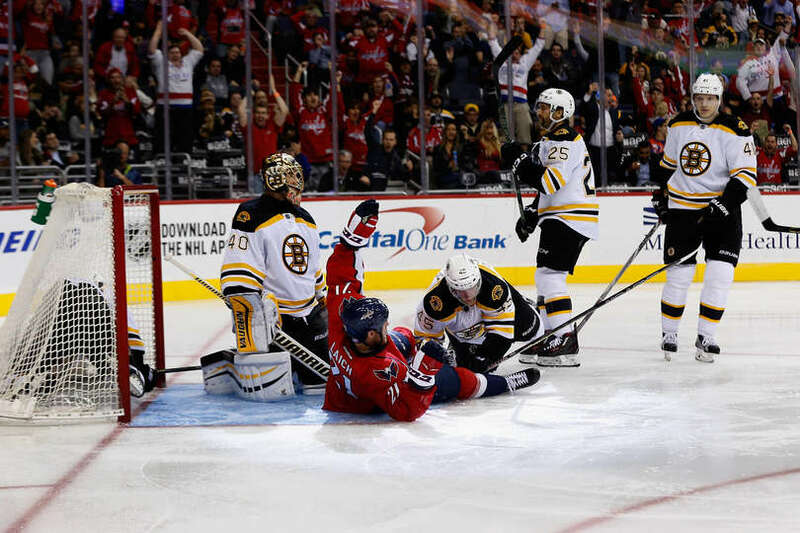 Alex Ovechkin scored his seventh goal of the season and the Caps indeed avoided losing consecutive games, knocking off the Boston Bruins 4-1. It took 193 minutes and a handful of seconds, and an entire season of head-to head-games, until Braden Holtby finally gave up a goal to the Bruins. New team, same ego, as John Tortorella returned to the Verizon Center as newly-appointed coach of the Columbus Blue Jackets. 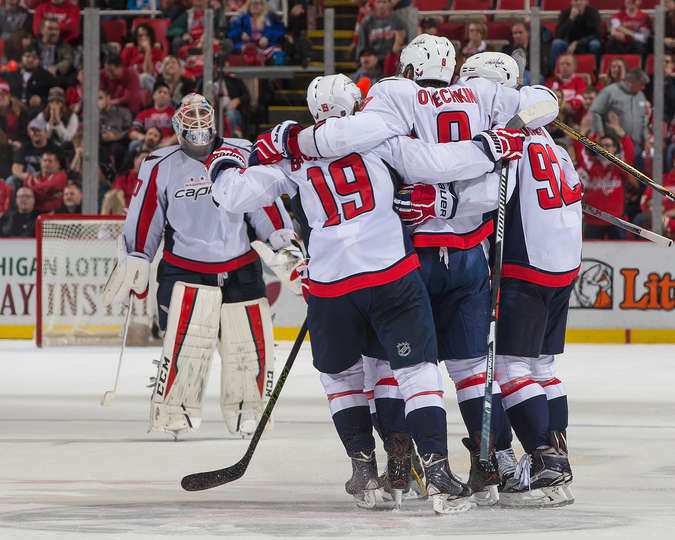 In a messy affair devoid of much offensive cohesiveness, the Washington Capitals were able to scratch out a 2-1 win over Tort’s troops. The Washington Wizards opened up their 2015-16 campaign in Orlando, defeating a young and talented Magic team, 88-87. John Wall was the star, posting 22 points, 7 rebounds, 6 assists and a game-high 5 blocks. Bradley Beal added 24 points and 6 rebounds, while Orlando was led by Victor Oladipo with 17 and 11. The game was back and forth and remained close the entire time, as Orlando was definitely up to the challenge defensively. However, Wall and Beal took control in the fourth quarter, scoring 19 of the team’s 23 points in the period. The Wizards closed it out on a Wall floater with 12.7 seconds to go. After a 6-1 loss on Monday, the Washington Nationals rebounded for a borderline absurd 16-4 shellacking of the Tampa Bay Rays at Tropicana Field on Tuesday behind five hits from Danny Espinosa and home runs from Bryce Harper, Clint Robinson and Wilson Ramos, who hit two off of two different position players. The Washington Capitals fell to the Tampa Bay Lightning 1-0, in a shootout naturally, ending their season in what most folks would consider a premature manner. It was the 21st time this season that a Caps game ended in a shootout, an NHL record. That, in itself, says a lot about this team this season. If you polled people across the NHL this preseason, most would have accepted the idea of the Capitals qualifying for the playoffs. I don’t think anyone expected them to be serious Cup contenders, but even with the move to the Metropolitan Division, this team on paper seemed to have enough talent to survive to the second season. But they don’t play hockey on paper, they play on ice. And this season, the Washington Capitals weren’t good enough on the ice. There’s a large segment of fans in any fan base, but they seem more vocal here, that believes any time their team isn’t successful they aren’t trying hard enough, or they don’t “want it” enough. They equate poor play with desire. But that’s very rarely the case. Modern professional athletes are highly-driven, highly-motivated individuals. At the very least, these players are motivated to achieve the highest success their talent can carry them to. This season’s failures weren’t about motivation or desire. It was about talent, and mismanagement of that talent. It was about players playing out of position — intentionally. It was about a difference in philosophies between the general manager and the head coach. It was about carrying three goalie for a month and a half. It was about performance — or lack thereof — on the ice. So while we wait to see what changes are made at Kettler this week, next week, over the offseason, the only thing for certain now is that the Washington Capitals were simply not good enough on the ice to qualify for the playoffs this season, which should provide all the motivation the organization needs to make the necessary changes to ensure that it doesn’t happen again. Over the past 15 games or so, the Washington Wizards have been mostly competitive when they weren’t outright winning basketball games. Saturday night, Chris Paul and the L.A. Clippers showed the Wizards have a ways to go yet, as they unceremoniously dominated Washington from start to finish, winning 104-86 at Verizon Center. It was the Wizards’ fourth loss in a row, dropping them to 9-13. The veteran big man finished with six points and seven boards in 28 minutes. Chris Paul had a night for the ages, dropping 38 on the Wiz shooting 11 of 14 from the floor, including 5 of 7 from beyond the arc. Paul also had time for 12 assists and made all 11 of his free throws. The Wizards were led by John Wall, whose 24 points came on 10 of 16 shooting and 4 of 5 from the line. Wall matched Paul’s assists with 12 on the night. Washington never led in the game and was down by 10 points before seven minutes came off the game clock. The Clippers never really went on any single big run throughout the game, but the way Paul was sinking his shots, they seemingly made three buckets for every two by the Wizards. The final could have been worse. Chris Singleton hit two 3-pointers late to shave six points off the Clippers margin of victory. Martell Webster and Trevor Booker added 12 apiece, while Trevor Ariza chipped in with 11. So what can a team take out of a beating like this? Wittman just wanted to focus on the future.